My friends think I am really crazy for this one...someone even called me Hannibal today at work while I was explaining my new morning routine. Before you begin to think I have gone off the deep end too, let me explain. Ever since I read Chris Kresser's post last month, I have been trying to figure out a way to stomach (get it?, "stomach"?) eating more organ meats. ...it can be difficult to get enough folate on a Paleo diet without including liver, because other than liver, beans are actually one of the best sources of folate. This is especially true if you eat lots of muscle meat and not enough folate-rich greens." But... Liver is a Dirty Organ! 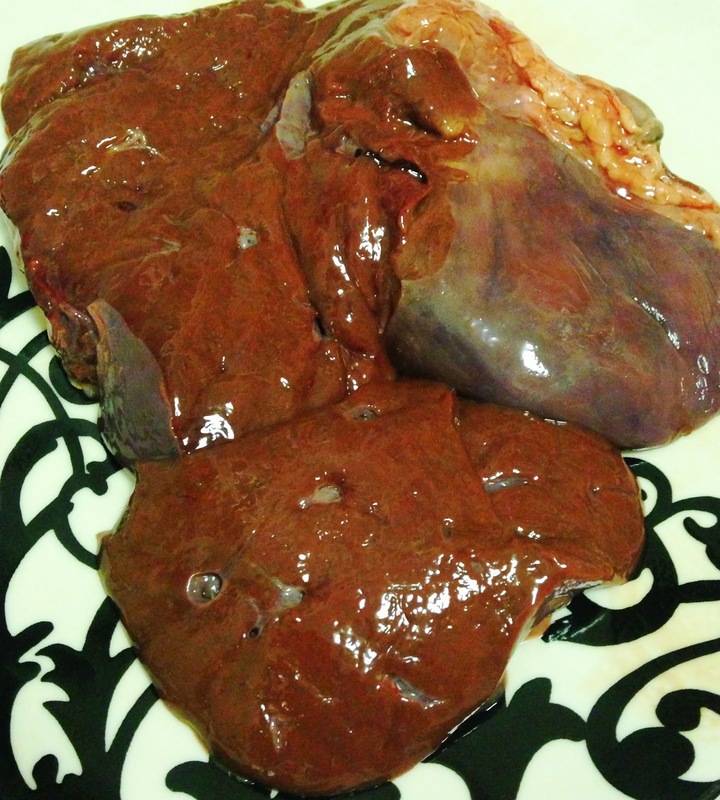 You may also hear lots of people telling you "gross, why would you eat liver? It stores all the toxins...I'd be careful if I were you". Fortunately, these are usually the same people who tell you to stop eating bacon and butter. So, you probably aren't listening to them anyway. But just in case you're feeling like a feisty rebuttal, you can let them know that the liver does not, in fact, STORE the toxins. Rather, it processes them. In fact, often times the liver is evaluated to test the overall health of the animal and make sure it is fit for human consumption. Therefore, if you would eat the animal, you can absolutely eat the liver. You can find more explanation here: Does the Liver Store Toxins? So I Decided to Try It - Liver Pill Style! 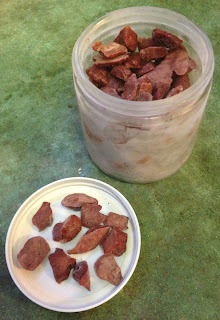 Boosted energy, clearer skin and stronger hair & nails, increased stamina and overall better moods have been some of the benefits I have heard people claim to achieve from consuming raw beef liver. 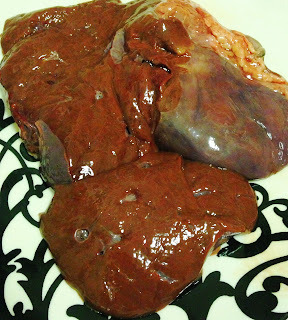 Being the curious, human-guinea-pig that I am, I decided that I would give it a go and make a steadfast attempt to consume at least 1oz of liver a day. 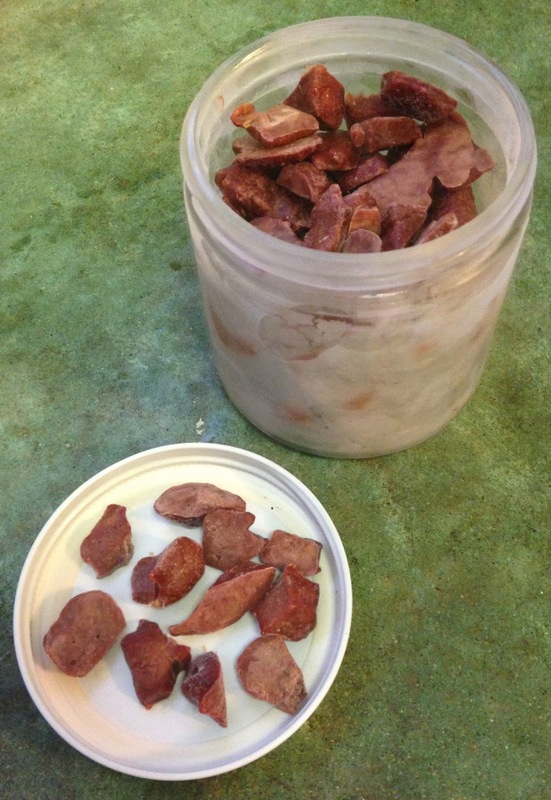 I decided to try to freeze the liver and make my own frozen liver pills. That way I wont taste the flavor or texture as it is going down, and by making it part of my morning routine, I won't forget it! So here is what you can do if you want to follow the protocol that I do daily. Word on the street is that if you freeze raw liver for 14 days the dangers from parasites which may be living in the liver will be eliminated. So take your liver out of the freezer and let it thaw a bit on your counter (living in a non-air-conditioned apartment in SoCal, it softened up pretty quickly). I then took kitchen scissors and cut strips, then cut chunks (about the size of a gummy bear). I would say that in total, 10 "gummy bear" sized chunks equals about 1oz (which is my daily consumption goal for now). Flash freeze them on a piece of wax paper and on a cookie sheet in the freezer for about 1 hour. After you can transfer them to their permanent storage home. I store the pills in a glass jar in the freezer. During my morning routine I make my bulletproof coffee and use this to wash down the pills. (I promise you won't even taste the pills if you wash it down with the bulletproof coffee...just make sure the coffee is cooled down enough!). I pop two at a time into my mouth, take a gulp of BPC, tilt my head back and swallow 5x and I am done! Tonja tried it and didn't have much luck with masking the liver flavor/texture. So everybody is different... don't beat yourself up if you can't handle the flavor! I just know what works for me and my body and I know what I can handle and what I can't! I have only been doing it for 5 days, and I SWEAR that I feel an increase in energy in the mornings. It pairs nicely with my bulletproof coffee as well in helping fill me up in the mornings so I don't get hungry and want to snack throughout the day.